NRNA's regional meet kicks off in UAE to discuss issues of migrant workers - Integration Through Media ....! 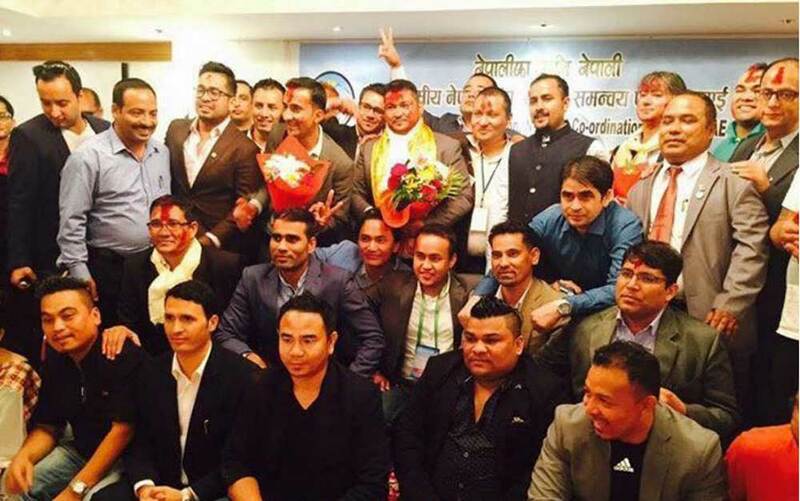 KATHMANDU: A (regional) gathering of the Non Resident Nepali Association (NRNA) Middle East kicked in the United Arab Emirates (UAE) with a view to drawing the government attention towards issues of Nepali migrant workers. Minister for Water Supply, Bina Magar, today inaugurated the event at the Dubai-based Grand Excelsior Hotel. As told by NRNA spokesperson, Bhushan Ghimire, the gathering will hold thorough discussions on problems facing Nepali in the Middle East countries in course of employment or operation of business. The gathering will present suggestions to minimise the cases of physical losses and casualties due to workplace accidents and incidents while on duty, problems caused by lack of awareness on health and physical safety and lack of knowledge about local language, legal provisions and other required information. Besides, the meeting will dwell on the issues of simplifying the process of providing compensation and financial assistance to the families of those killed and left mutilated in course of the employment. Investment of remittance in productive sectors, utilisation of knowledge and skills achieved abroad at homeland and increase on awareness level of foreign employment aspirants are in the agenda of discussions in the meeting. The gathering will come up with conclusions about the matters in regard with skills training, orientation on local language, culture and law for foreign job seekers, encouragement of those returnees from abroad jobs to pursue entrepreneurship. The gathering is expected to draw the government attention toward granting work permit from Nepali Missions abroad, establishing a labour skills bank and making initiation with destination countries for the management of provident for those foreign migrant workers. Minister Magar, former labour minister Ramesh Lekhak; labour representatives and representatives from other bodies concerned and office bearers of the NRNA national coordination councils in Qatar, Bahrain, Kuwait, Saudi Arabia and Oman are taking part in the gathering. The event that kicked of Saturday with the theme of the event is “safe and descent foreign employment; our concerns: knowledge, skills, remittance and entrepreneurship, the base for prosperity” will conclude tomorrow. Of the total remittance of Nepal, an inflow from the Middle East contribution makes up some 60 percent. Safe, decent and respected foreign employment is in the agenda of NRNA since its establishment.